My mom gave me some stacks of old christmas material and i had some left over from the christmas shirts i made…. and so became the Christmas scrap twirl skirt. 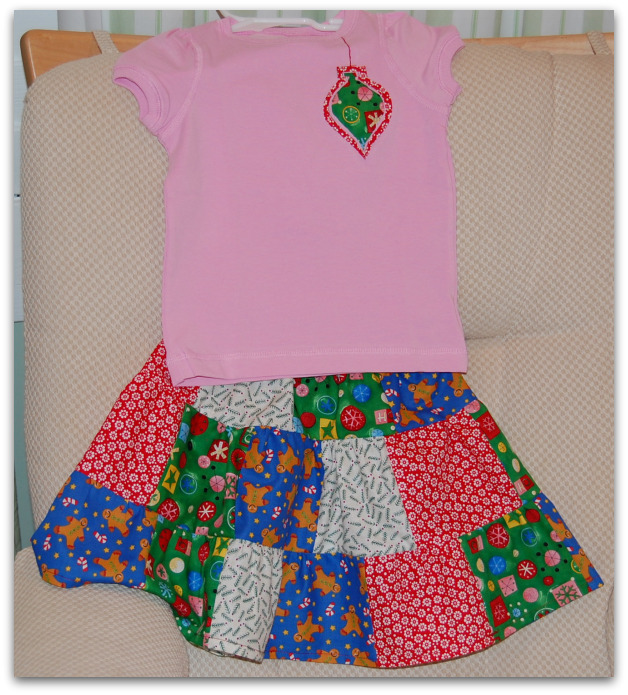 The Merry Church Mouse has a great tutorial for this skirt. She looked so cute in this skirt!! I love it!